Medea's marriage is breaking up. And so is everything else. 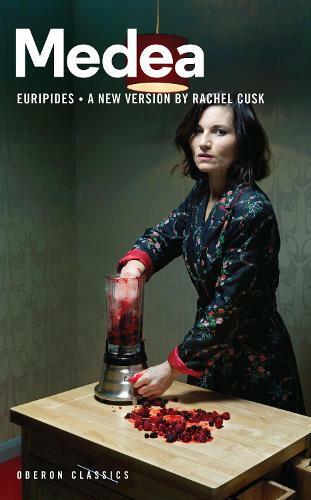 Testing the limits of revenge and liberty, Euripides' seminal play cuts to the heart of gender politics and asks what it means to be a woman and a wife. One of world drama's most infamous characters is brought to controversial new life by Almeida Artistic Director Rupert Goold (The Merchant of Venice, King Charles III, American Psycho) and award-winning writer Rachel Cusk (Outline, Aftermath). A Canadian-British writer, Rachel Cusk was named as one of Granta’s ‘Best Young British Novelists’ in 2003. Her writing – which notably often draws explicitly on her own life includes the memoirs A Last Supper and her blistering work of the aftershock of life post-divorce, Aftermath as well as the trilogy Outline, Transit and Kudos.